This book is very well worth reading and studying. Although I do not use a Lumix camera, there are areas which carry over to alternative cameras. I have now purchased every one of Robin Whalley's book and find them extremely useful and seem to give me the area of expertise that I am looking for. I would recommend all of his books. Do you want to create photographs that show exceptional detail and sharpness? Or do you want to know why your images don’t quite live up to expectations given all the great things you have heard about the LX5? This book came about during a series of Lectures I was giving at photography clubs in the UK. I would be enthusiastically talking about the virtues of the LX5 only to have someone approach me later to say their results were poor or even dreadful. Initially I was confused, but then a pattern emerged about how people, often experienced photographers were using this camera. Once I understood what was happening I could quickly identify and correct the mistakes being made. As time progressed, this evolved into a complete approach to achieving exceptional image quality with the LX5. I am sure you will be surprised learn just what is possible with the LX5 when used correctly, including being able to make huge prints. This book is not however for everyone. If you are new to photography and want to understand how to use all the functions of the LX5, this is not the book for you. Neither is it a guide to using the LX5 and you certainly won't learn about video capture. If you want to learn about composition this book won’t help you. If the thought of shooting using RAW files scares you then move on now and look for a different book. 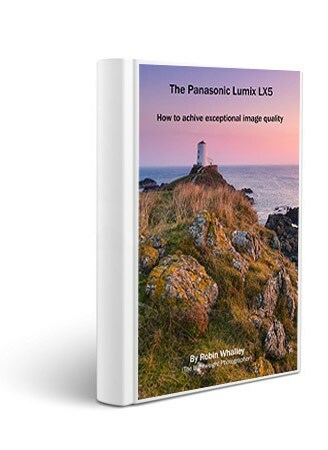 No, this is a book aimed at Intermediate and Advanced photographers who want to achieve exceptional image quality from the LX5. At the end of the book is a section pulling together all the information and using it to produce a high quality 30inch image from an LX5. This image will stand up to close inspection and doesn’t rely on being seen at a “reasonable viewing distance”. I also provide the high resolution image for you to download so that you can take a very close look at the final quality.